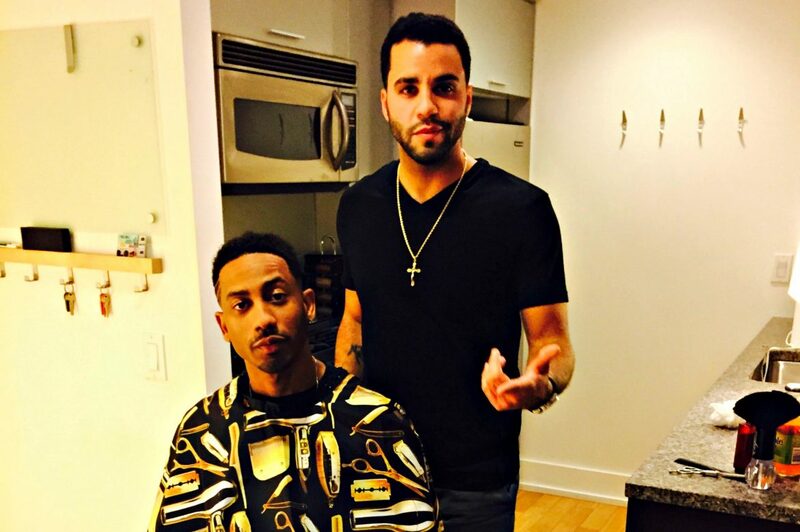 Ronnie Caldwell Jr. met actor Brandon T. Jackson while on vacation Puerto Rico in 2014 -- since then, Caldwell has turned himself into a "celebrity barber." From the gridiron of Gillette Stadium to the bright lights of Hollywood, master barber Ronnie Caldwell Jr. is building a who’s who clientele from coast to coast, and that global success has led to local ambition with plans in the works to open a barbershop at the corner of Suffolk and Franklin streets. Caldwell, born and raised in Worcester, is the personal barber to New England Patriots offseason acquisition wide receiver Brandin Cooks, actor Brandon T. Jackson (known for “Tropic Thunder” and “Percy Jackson”), and Washington Redskins offensive lineman Tyler Catalina, a Wachusett Regional High School graduate. Caldwell’s glitzy list of customers includes Patriots backup quarterback Jacoby Brissett and cornerback Stephon Gilmore, who signed a $65 million contract to join the team in March, as well as social media sensation (and former college football player) Landon Moss, and professional baseball player Chris Colabello, a former Assumption College standout and longtime Worcester Tornado. 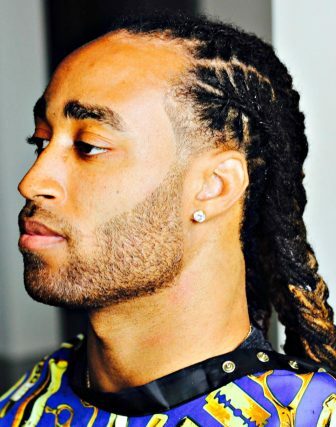 Stephon Gilmore, one of the newest New England Patriots, quickly connected with Caldwell. So how did Caldwell land such high-profile clientele? On vacation with his then-fiancee, Ginny, in 2014 in San Juan, Puerto Rico, Caldwell found himself relaxing in the same hot tub as Jackson, his girlfriend and, as it happens, six students from the College of the Holy Cross. The gaggle of co-eds identified themselves as “girls from Boston.” And that cracked opened the door for Caldwell into the world of celebrity barbering. Ginny, now his wife, kicked it down. 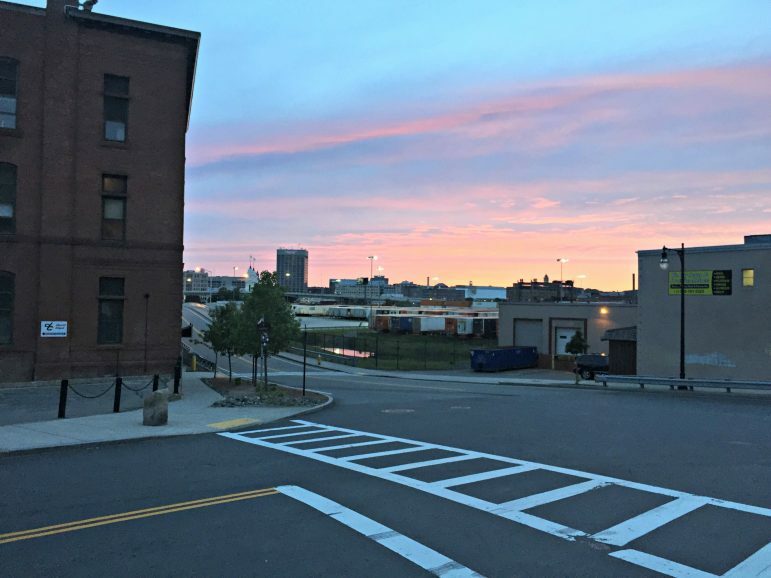 “That’s not Boston, you’re from Worcester,” Caldwell remembers Ginny telling the girls, which immediately struck up a conversation between Ronnie, Ginny, Jackson and the other women in the hot tub. When he found out Caldwell was a barber, Jackson jumped at the chance to get his hair cut before leaving the next day for an appearance on “Jimmy Kimmel Live!” in Los Angeles. 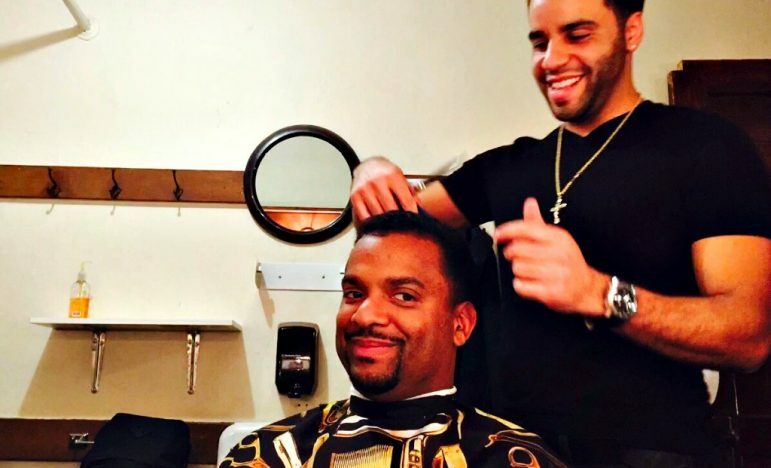 Jackson liked his haircut so much that he gave Caldwell a contact in Hollywood. 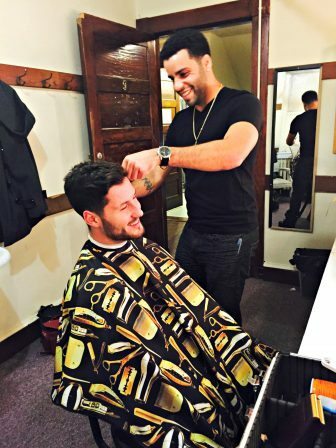 Caldwell said Morris connected him with actor and television host Alfonso Ribeiro (known best as Carlton from “The Fresh Prince of Bel-Air” and for winning “Dancing with the Stars” in 2014) and professional dancer Valentin Chmerkovskiy when both celebrities were on tour with “Dancing with the Stars” at the Wilbur Theater in Boston in 2015. Caldwell met Ribeiro at Morris’ home in 2014 when Caldwell flew out to Los Angeles to meet Morris for the first time. 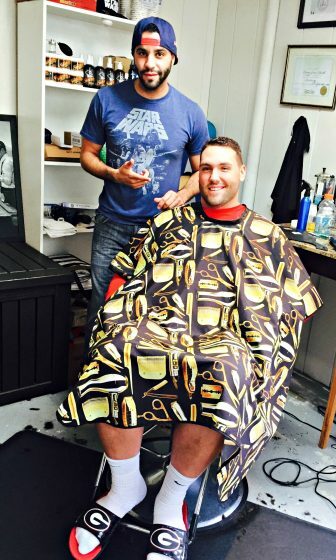 Since then, both a friendship and professional relationship has blossomed between the barbers. Morris said she finds Caldwell to be very dependable, a responsible professional and trustworthy — making him a good match for demanding clients. Most importantly, Morris said, Caldwell is persistent. “I’ve been doing it a long time. And I don’t even know how I got here,” Morris said. “One thing I do know and that I see that [Caldwell] has is that he’s persistent. Caldwell with “Dancing with the Stars” professional dancer Val Chmerkovsky. Caldwell’s persistence is what landed him the role of personal barber for the Patriots’ Cooks. Caldwell and Cooks connected on Instagram when Caldwell commented on one of Cooks’ photos. “I wrote, ‘Hey come check the haircuts out on my Instagram page. I’ll get you looking right in New England. Welcome to the Patriots.’ Immediately, he commented right back and said, ‘You got any openings?’ ” Caldwell said. Caldwell fired back a message in return and the two made plans for Caldwell to go to Cooks’ home. Since then, Caldwell cuts Cooks’ hair once a week — most recently on Thursday, June 1. During the Patriots’ organized team activities [OTAs] in early May, according to Caldwell, Brissett asked Cooks who cut his hair — Brissett was on his way to the Kentucky Derby that weekend and needed to look sharp before he left. Caldwell said he gives about 100 haircuts per week, and he boasts more than 19,000 followers on Instagram. Caldwell, 29, a graduate of North High School and Rob Roy Academy, received his master barber’s license in 2016 through the Massachusetts State Board of Cosmetology and Barbering. He married Ginny, a nurse practitioner, in 2016, and the couple welcomed a son, Ronnie Caldwell III, earlier this year. A view from the corner of Suffolk and Franklin streets, where City View Barbershop is planned to open later this year. Caldwell, who had previously worked at Plaza Barbershop on West Boylston Street for 10 years, is planning to open his own shop, City View Barbershop, at 1 Suffolk St. this fall. “When I first started cutting hair, my whole image of what you needed to say to prove that you made it as a barber is you have to be in this big plaza, need 100 parking spots, 20 chairs in your shop,” Caldwell said. “When I got older and began to learn the business more, I realized it’s not about how many barbers you have, it’s about always making your next move a smarter one,” Caldwell added. Caldwell believes the shop will be a natural progression for his business and career. “This business is going to take me to the next step, give me more flexibility in my life and give me the freedom to expand my business and portfolio,” he said. Barber services at City View will run anywhere from a men’s haircut at $16 to a travel cut where Caldwell comes to you for $100. Haircuts with a design will be $50. Prices for haircuts will increase with additional blowouts, styles and beard and mustache lineups. Women’s and kids’ haircuts will also be available. Caldwell anticipates the 800-square-foot shop will include four barber chairs — for which he plans to hire three other barbers — and a waiting room. “This is the next step. It’s not only going to generate more money for my family, but it’s going to mark the midway point of my barbering career and solidify where I’ll be for the next 20 years or so,” Caldwell said, while adding that owning his own shop will give him more flexibility to travel to Foxborough or to the homes of Patriots players. For Catalina, 24, who began seeing Caldwell for haircuts more than a decade ago, the hope is he joins the ranks of veteran NFL players on Caldwell’s client list. Catalina signed with the Washington Redskins as an undrafted rookie free agent after playing collegiately at University of Rhode Island and University of Georgia. He hopes not only to make the team, but to have Caldwell visiting him in D.C.
By the time the NFL season is in full swing, Caldwell’s barbershop should be in its infancy. And despite being on-call to Foxborough or Boston, Los Angeles or anywhere else, Caldwell insists his focus will be on City View Barbershop. And his home. The hours of operation for City View Barbershop are planned to be 9 a.m. to 6 p.m. Tuesday through Friday; and 7:30 a.m. to 2 p.m. Saturdays. For more information, visit: https://www.vagaro.com/cityviewbarbershop.